$40.00 In stock. Order in the next 18 hours, 7 minutes and it will go out today! Before you’ve even finished reading it, you’ll be performing tricks you’ve made yourself using a glue gun, tape, spray adhesive, and photo paper along with lots of fun, novel items itemized in the chapter section below. 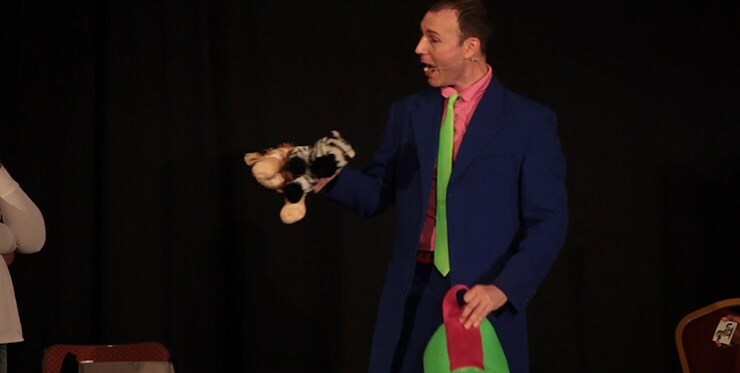 You’ll learn nearly 40 routines, complete with script, handling and theory so your young audiences will be completely captivated one moment, and screaming in hysterics the next! OPEN SAYS ME – Five great routines, any of which could open your show. One of them doesn’t even use props! Others use a growing name tag, jumbo cards with eyeballs printed on them, silks, wands, eggs and money. STUNG! 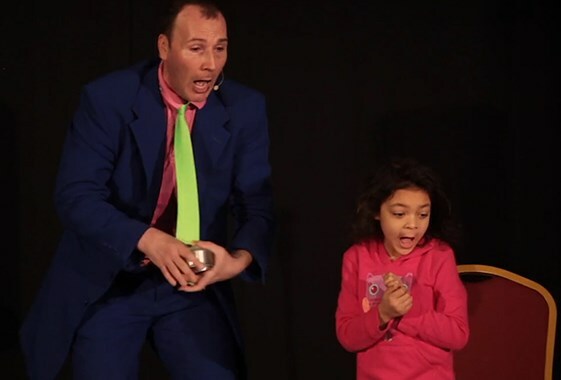 – Seven highly interactive routines with "sucker moments” use strips of paper, plastic mirrors, pictures of monkeys, mustard and ketchup bottles, jump rope, and the Rabbit/Duck illusion (with a hilarious, surprising finale) to thoroughly entertain. GOT YOUR BACK – Chris’ approach to making props vanish, only to be found stuck to your back, is detailed in five tricks using traditional and original props including a tiny Teddy Bear, Cooties, and a box of Oreo cookies. ACCESSORIES MAKE THE OUTFIT: Chris has eight great ideas to help you get the laughs with slap bracelets, wooden spoons, a plunger, and boomerangs. At AmazeKids, our favorite is how he makes a Breakaway Microphone with stuff you probably have at home. QUIET, NOT RIOT – This is Chris’ collection of four routines that keeps kids quiet and engaged with his scripted story and presentation. You’ll find minimal audience participation here, but beautiful performance pieces with a magical rose, slices of cheese, a shiny toy trophy, and a volcano. HELP! I NEED MULTIPLE BODIES – This chapter features seven tricks that use more than one helper. A two-headed stuffed animal, a feather duster, a boxing nun puppet, a set of chattering teeth and a fake ice cream cone are just some of the props that you’ll be reading about in these routines that play big. NOT-SO-TRICKY MAGIC – These seven routines use props to create moments that aren’t magical, but still get a huge amount of oohs and aahs from children. Learn what Chris does with a pair of cheap gloves, a whoopee cushion, a robotic goldfish, an ice cream carton and a table lamp that is anything but ordinary! Christopher Barnes is a studied actor and playwright. He’s a graduate of New York University’s Tisch School of the Arts and a veteran children's performer. Before moving to Los Angeles, he was one of the premier kids show magicians in the greater New York City area. 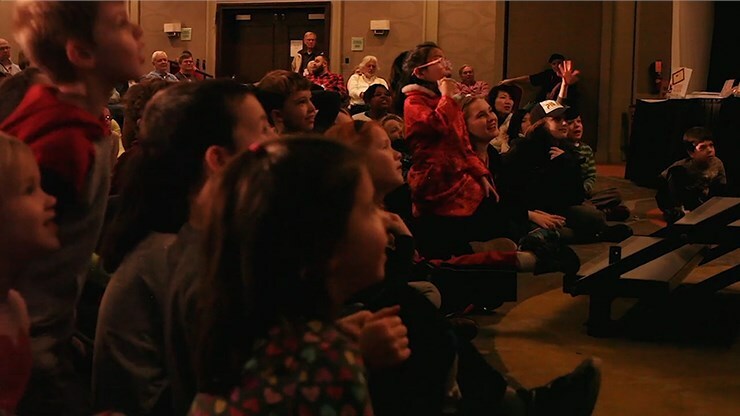 When you use Christopher’s philosophy and approach for entertaining kids, you’ll take pride in your self-made props as you perform some hilarious new routines, and build a family show that’s Just for Fun. 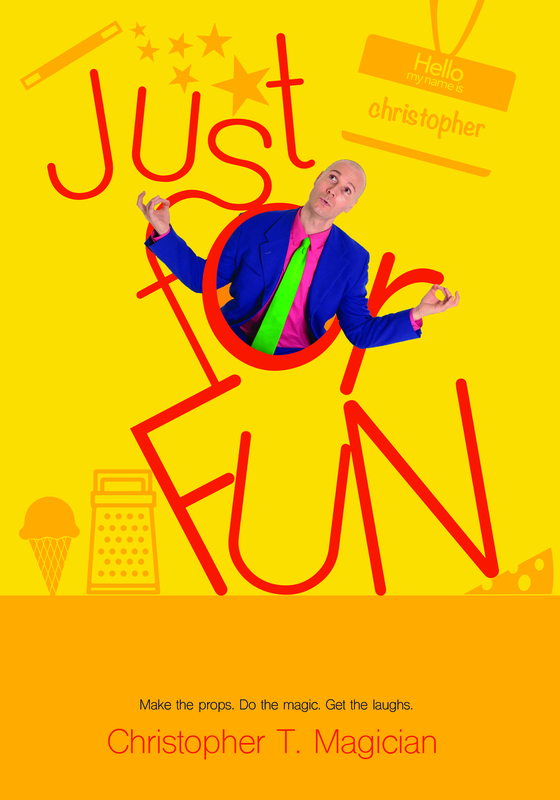 I just finished reading "Just For Fun" by Christopher T. and... this maybe one one of the best books ever written on kids magic.. I continuously found myself laughing out loud while I read... I can't recommend it enough! I have read this book cover to cover at least 3 times. If nothing more it will make you laugh, and if that's all it does you are not paying attention. I have been inspired by Christopher T to rethink, re purpose and recycle so many of those old props/routines. 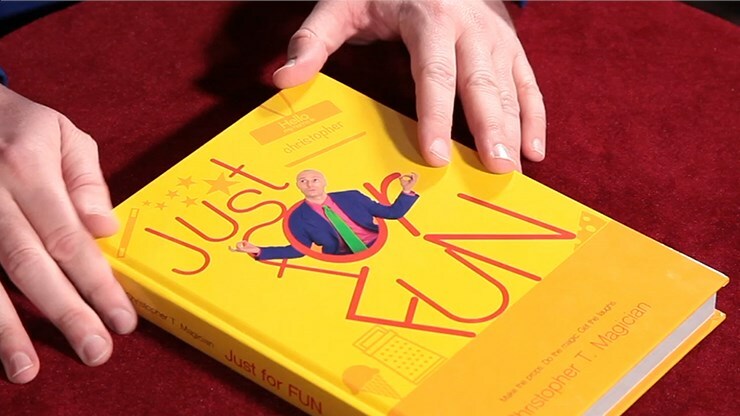 If you feel like your act is getting stale then you NEED to this book. But Buy your own cause you can't have mine!!! Recently bought this book at Magic Live 2017. I am glad that I did because it sold out the next day (after the welcome party, no more copies were available). It contains a lot of fun new ideas as well as routines. The spaghetti routine is worth the price of the book. It requires some DIY, but you can make it to fit your own Dove Pan (I plan to make one for my cupcake pan just for fun). It is the one routine that I am glad that he put into the book. Before then, you had to see Chris at a lecture to get it or be a Member of Kidabra International to get it in the most recent Journal. This book is a must for any children's entertainer. If you have attended some of Christopher's lecturers, you will be happy to find some of the Ideas in this book as well (just incase you didn't buy the lecture notes at that particular convention or lecture). Some examples include a really killer misers dream closer as well as how to have stuff appear on your back. Get this book! Your mind will be blown!